This year started with a bang! For the second release of the year, we look at a totally original betting game. Say hello to Fish Catch, an interactive, multi-player, betting game! Submerge to the bottom of the ocean to fish for… coins! You’ll do your underwater hunting with special cannons. Each fish you catch will grant you coins, based on the fish payout chart. You better be fast as other players are also hunting for the Big Fish! 3) Set your settings. Auto Aim allows you to fix aim on a fish and shoot until it is captured. Auto-Fish on, allows automatic firing on preselected fish. Fish Info, allows you to see the value of each fish as they swim by. 4) At any time, the Mermaid Luck Feature may trigger and grant up to 250x your trigger bet! 5) Survey 4 different maps of the ocean, as big fish may appear in other sections of the sea. 6) Sit and try to catch as many fish before the round ends. Extra prizes are awarded to the top players of the round. 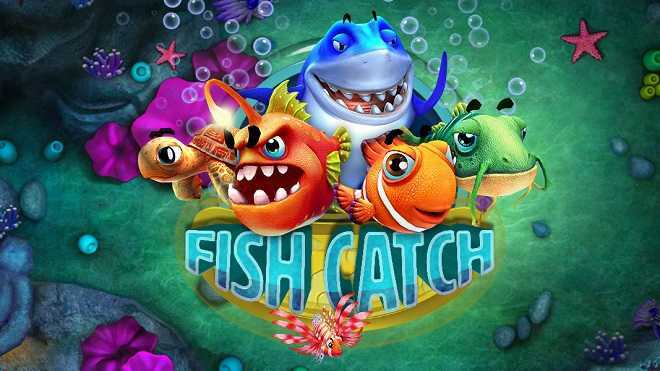 Fish Catch is breaking all the norms when it comes to online gaming. Play it today at Uptown Aces! Good fortune, health, love and, of course, plenty of Free Spins: Those are Uptown’s wishes for you this 2019! January will be a great start to a greater year with your chance to play with up to 100 Free Spins twice per day throughout the month! Don’t let the New Year sneak up on you without Free Spins! Spin the reels of Plentiful Treasure where exciting winning features and jackpot prizes are bound to make your start of 2019 bursting with winning flavor. Deposit as low as $25 and this year will be kicked off with plenty of Free Spins and rewarding wins! The art of winning can often be seen as a battle between your luck and the house edge. Your every move is important, requiring concentration, intuition and determination. This month we challenge you to play your best moves and claim victory over the house! Remember that the trick is to play the right game at the right time. Time your moves well, moving away from a slot machine when it’s going dry and sticking to those games that are paying abundantly. Inspired by the Ultimate Fighting Championship mixed martial art’s competition, we have a series of Big Bonuses and Free Spins this month. Play two rounds with a big bankroll and then claim 200 Free Spins on the house. The Free Spins are granted on the perfect Martial Arts online slots! You’ll get to play Kung-Fu Rooster, Eagle Shadow Fist and Ninja Star! Warm up your luck and get ready to be crowned champion at Uptown Aces casino! Get Your 200 Free Spins Submission! Deposit bonuses require a $25 minimum deposit and they hold 30x slots or keno roll over and no max cashout. UFC200SPINS coupon winnings hold $500 max cashout. Promo codes must be redeemed in order. Offers expire on February 15th. 2019 is here and it’s time to set yourself up for your best year yet. Start off January by doubling your luck Uptown when you make a small $25 deposit once per week Tuesday through Friday. Set your mind to it and your luck will be doubled right from the start of the year with a 150% Match + 50 Lucky Spins! It’s easy when you spin the reels of Double Ya’ Luck where wilds, multipliers and jackpot prizes will help you increase your fortune! The start of the New Year is a chance to double your luck and join the fortune forces Uptown when depositing as low as $25! 150% Match + 50 Lucky Spins! Offer available once per week from Tuesday through Friday. It requires a $25 Min. Deposit and it holds 30x slots or keno playthrough and no max cashout. To an Epic All-Ways-Pays 2019! Welcome 2019 with a Bigger Bonus Bang Than Ever Before! Uptown’s Got the Jolliest Free Spins Journey of All! Simplify the Holiday Season by Making it Santastic!